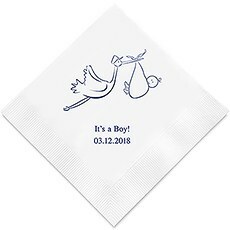 Personalize your baby shower decorations with these adorable printed napkins available in every colour of the rainbow. Are you throwing a baby shower or a gender reveal party to celebrate the upcoming arrival of ten tiny toes and a button nose? Are you planning a christening? 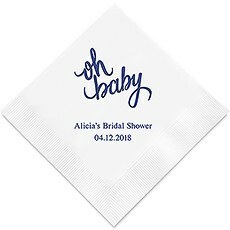 Whatever the occasion, be sure to include personalized baby shower napkins as part of your festive décor. 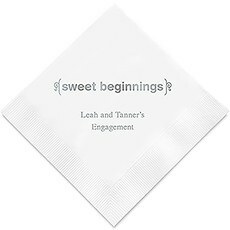 Weddingstar is your destination for customized napkins. 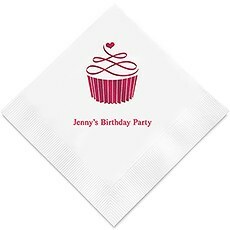 We let you personalize everything — down to the size, napkin colour, print colour and baby-themed icon — so you can match your party décor beautifully. You will love how they add a splash of colour and personality to your venue.Are you having a mid-afternoon tea and dessert party? 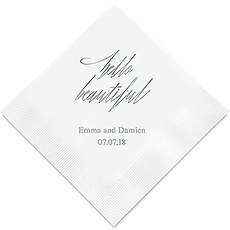 Our cocktail size napkins are just the right touch. Having a buffet brunch or a multi-course, sit-down dinner? 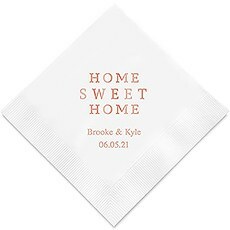 Opt for luncheon napkins or for our larger dinner napkins. 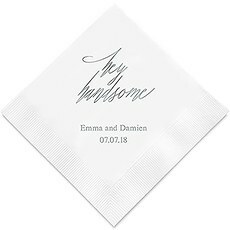 Affordable and available in a kaleidoscope of beautiful colours, these napkins are an easy way to add your personal touch to the party by adding a name, monogram, date or brief message. . Prefer not to customize them? No problem! They are cute enough all on their own. 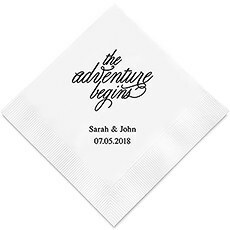 Some of our fun napkin sayings include, Oh baby, hey handsome, hello beautiful, sweet beginnings and the adventure begins. Looking for a sweet baby-themed icon? It does not get any cuter than our Hanging Baby Clothes Printed Paper Napkins featuring tiny onesies hanging on a clothesline, or the classic Stork Baby Shower Printed Paper Napkins.Quality-made, our three-ply baby shower napkins are conveniently sold in cocktail, luncheon and dinner sizes at an incredible value. 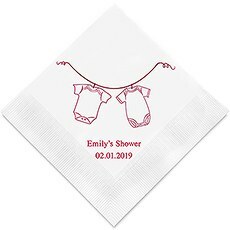 Personalized baby shower paper napkins add that extra-special touch to an extra-special celebration. They also make a sentimental souvenir for your baby shower, gender reveal gathering or baptism. 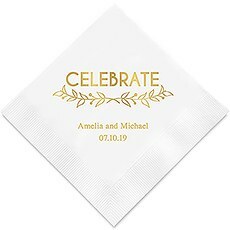 Be sure to add one to your baby's scrapbook or memory box so he or she can look back at all the details of their special day — down to the napkins!